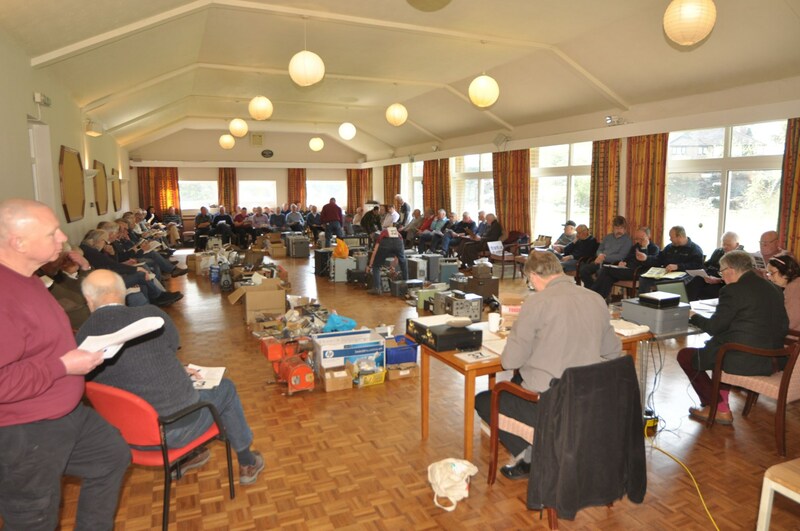 The latest VMARS vintage equipment auction was held on Saturday 13th April at Baginton near Coventry. Photographs taken at the event are shown below. VMARS organise four or five private auctions a year which are open to attendance by members and their personal guests. Auctions are notified to members in the monthly News Sheet along with a full illustrated catalogue of items to be sold. A list of the prices achieved at auction is also published in the monthly News Sheet. Planned auction dates can be viewed on this website under the EVENTS heading. 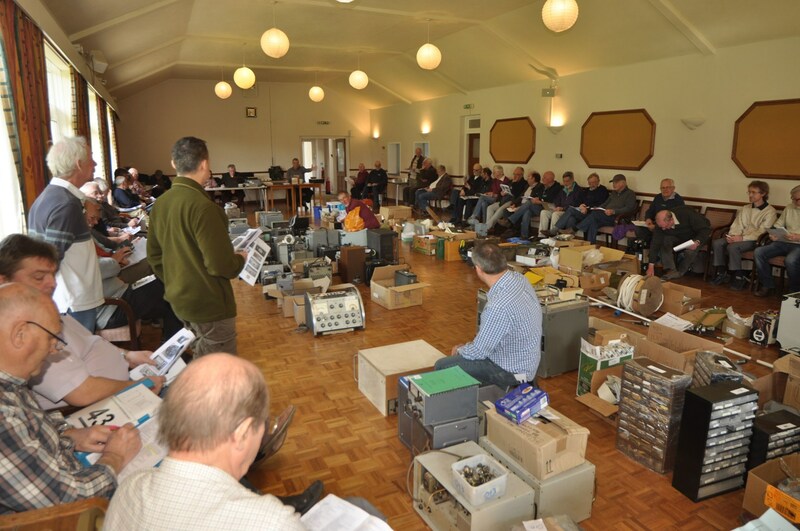 The VMARS Committee have announced that the date of the 2019 Annual General Meeting is to be Saturday 7th September and will be located at the recently opened REME museum at the former Royal Air Force station Lyneham in Wiltshire. The museum opened in June 2017 after reloacting from its previous site at Arborfield. 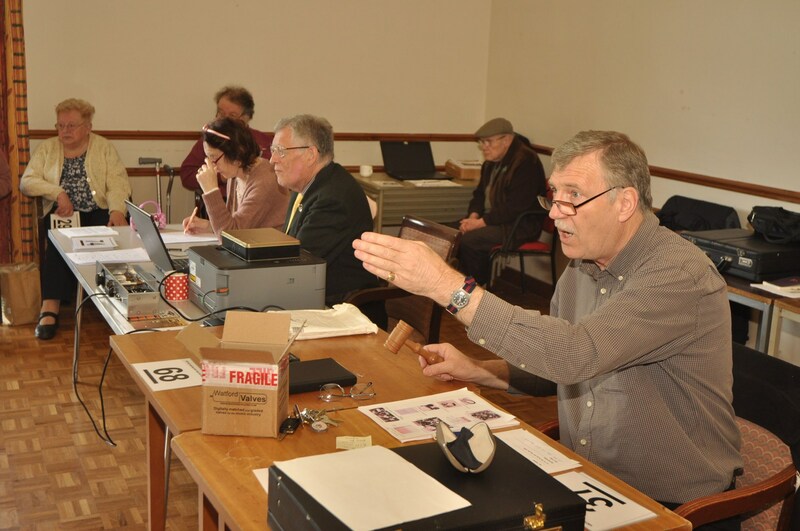 This years AGM marks 20 years since the formation of the Vintage & Military Amateur Radio Society at the inaugral meeting held at Station X, Bletchley Park in 1999. From that date the Society has continued to grow and currently has around 550 paid up members. 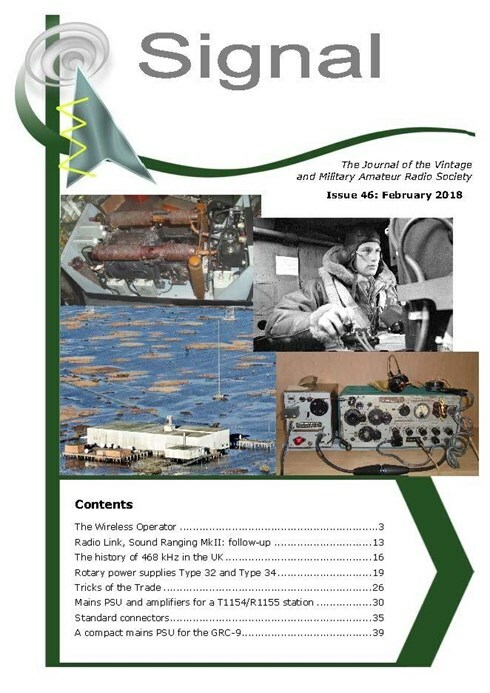 VMARS Quarterley SIGNAL journal is due out shortly. For a high definition preview of the front page index please click on the picture. Paul Craven, M1PVC located in East Sussex, ran a succesful Heathkit equipment net from 07:30 to 08:30 GMT today on 3615Khz.. Early stages of the net were blighted by severe QRM from SSB stations which appeared on the frequency after the net had started but which had cleared by about 08:00, after which conditions were excellent. In the latter part of the net all stations were hearing each other well and the station in SW France was heard 59+15 in the UK at a distance of 750Km. 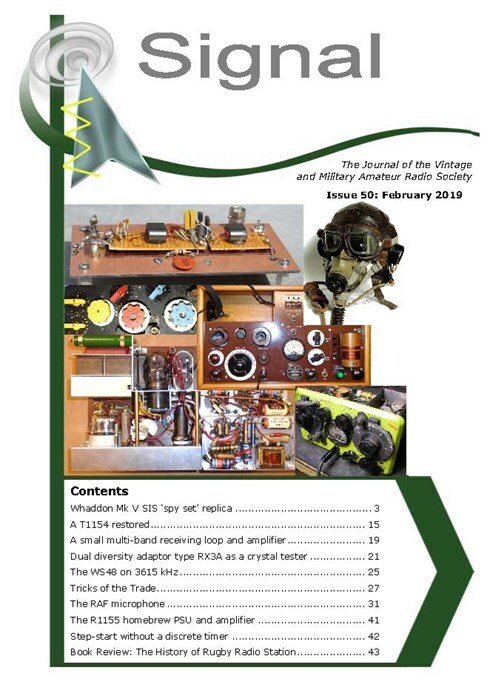 Heathkit stations which appeared on the net were F4WCD 70Km NE of Bordeaux, G3YYH Cheltenham, M0MGA Whitehill Hampshire, F4VSC 75Km E of Brest, G3TSK Minehead, G3VTD Pontefract, G3XGW Evesham, G0FGX Helston, G6TVJ Bristol, MW0FZY Swansea and G4EJM in Stoke on Trent.. Heathkit equipments in use were 1 DX100B, 7 DX100U, 2 DX60U, 3 DX40U transmitters and 1 SB200 linear amplifier. The November edition of the VMARS quarterly technical publication Signal is being distributed to members. Here is a preview of the front page index. For a high definition view, click on the picture. On Friday and Saturday 28th & 29th September VMARS attended the National Hamfest held at the Newark showground in Nottinghamshire. 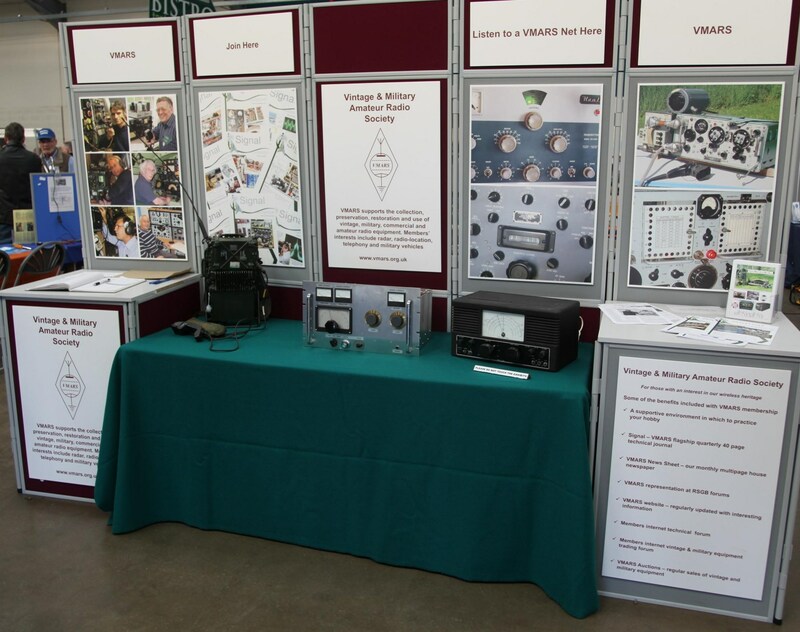 The informative VMARS stand has become a regular point of interest at the annual event and it attracted a constant stream of visitors, many of who expressed an interest in the continued resurgence of vintage and military equipment restoration and use on air. The VMARS outside military equipment display was in full operation throughout the two days of the show. 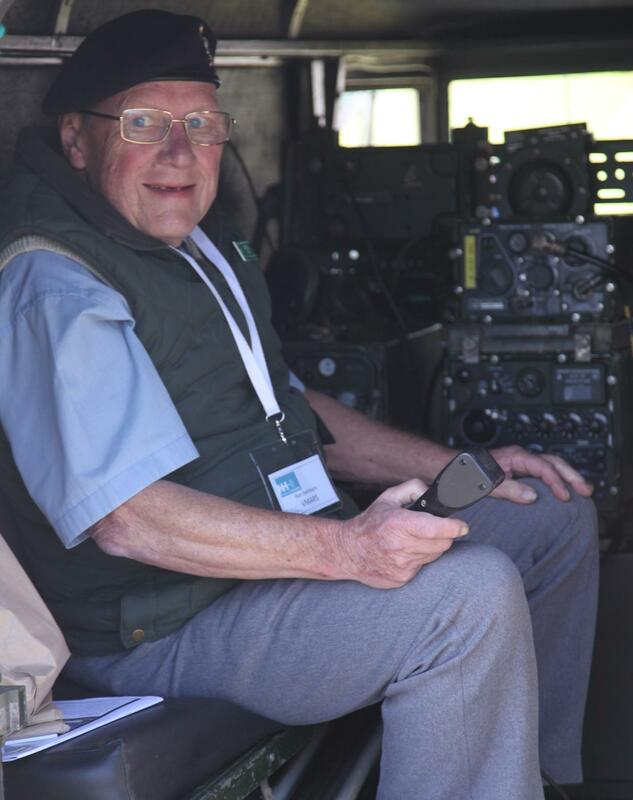 Many contacts were made using ex-British Army Clansman 321 and 320 transceivers operated from the back of a LandRover located in the grounds outside the exhibition hall. As well as contacts with many UK stations VMARS members working from the Netherlands and from France were among those communicating with the station. 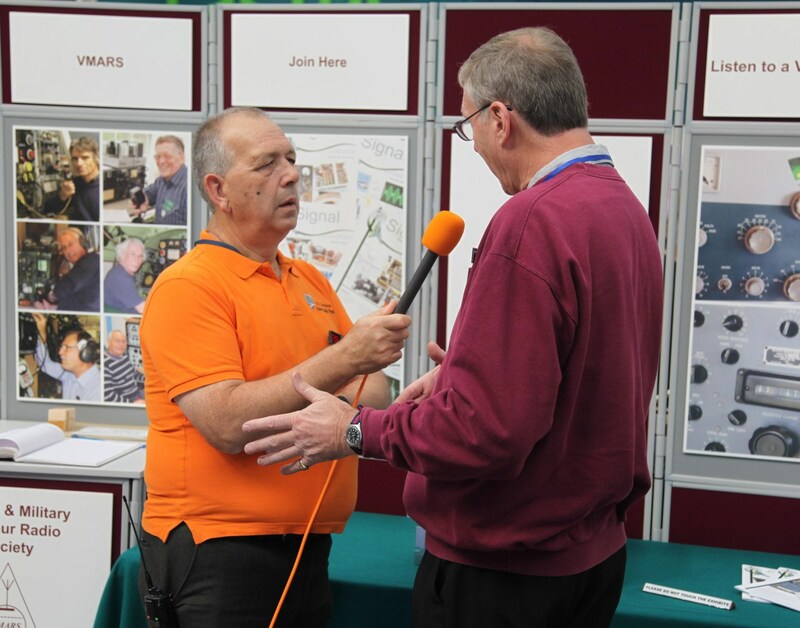 VMARS Public Relations Officer Stuart McKinnon being interviewed on the VMARS stand inside the show hall. 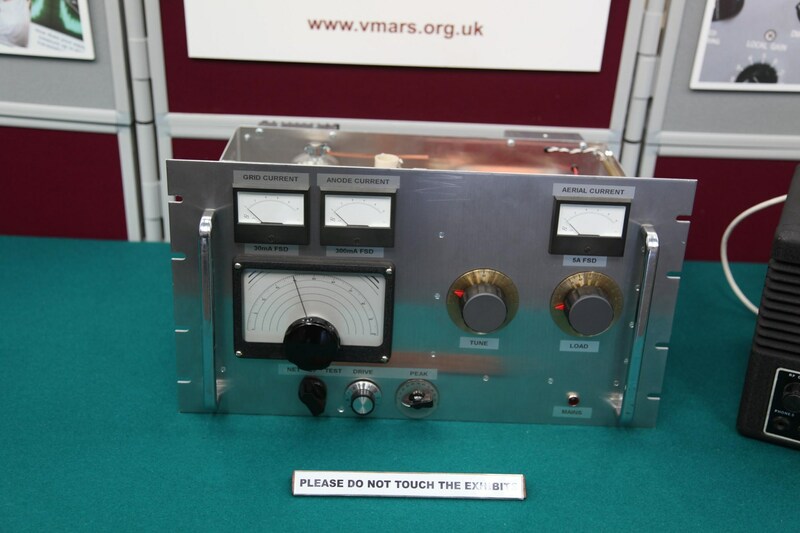 A very fine home brew transmitter exhibited on the VMARS display stand. Among its aims and objectives, VMARS strongly encourages the home construction of AM equipment. Members regularly appear on the 80m Saturday morning Amplitude Modulation nets operating their home constructed equipment. An underside view of the equipment. 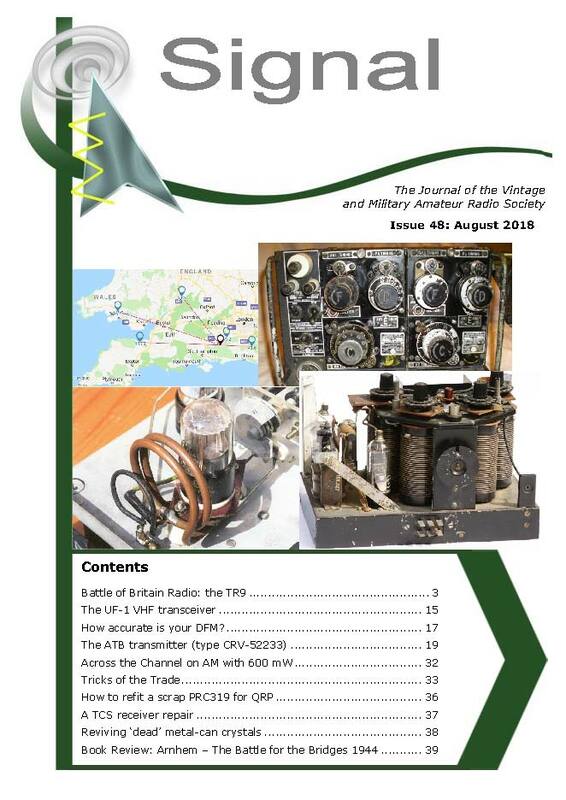 The 19th Annual General Meeting of the Vintage and Military Amateur Radio Society was held on Saturday 8th September at the Royal Navy Fleet Air Arm Museum, Yoevilton, Somerset. 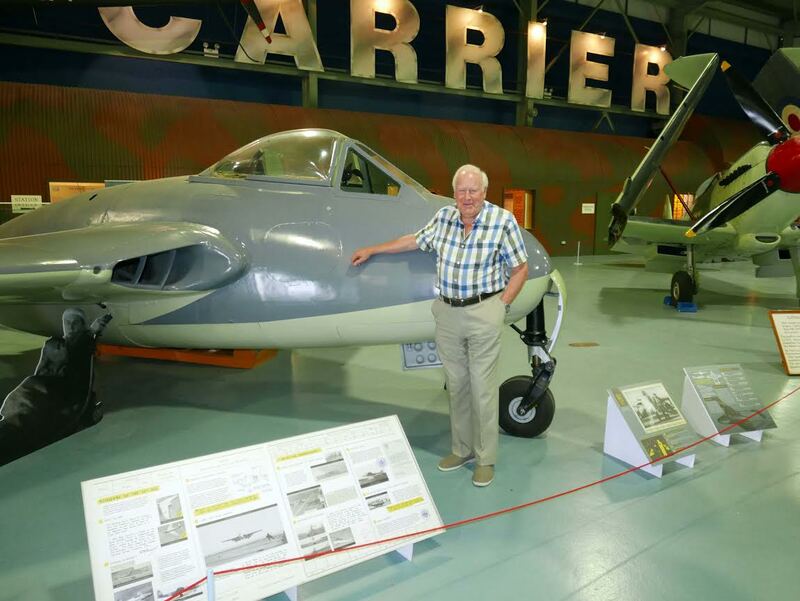 Attending members have reported an excellent meeting and museum visit and an altogether enjoyable gathering of members and families. A full report of the day will be published in the next monthly edition of the Society News Sheet. The latest edition of SIGNAL is now with the printer and will be distributed by post to all members soon. Here is a preview of the front page index. The VMARS 2018 AGM will be held at the Royal Navy Fleet Air Arm Museum in Somerset on Saturday 8th September. The meeting will commence at 11:00hrs and is open to all members. Because the museum is located on the military airfield site of Royal Naval Air Station Yoevilton, it is necessary for all attendees to register their names and vehicle numbers with the VMARS Public Relations Officer, Stuart McKinnon, as soon as possible as these details are required to be passed to the RNAS Yoevilton security section prior to the event. Details can be sent directly to Stuart or e-mailed to PRO@VMARS.org.uk. Arrivals at the museum are admitted from 0930hrs. Tea, coffee and biscuits, etc. from 10.00am. Refreshments, lunch and entry to the Museum will be provided by VMARS. Following the meeting there will be ample opportunity for members to explore this excellent museum. The AGM location address is RNAS Yeovilton, Ilchester BA22 8HT. Another VMARS Auction Sale coming soon. 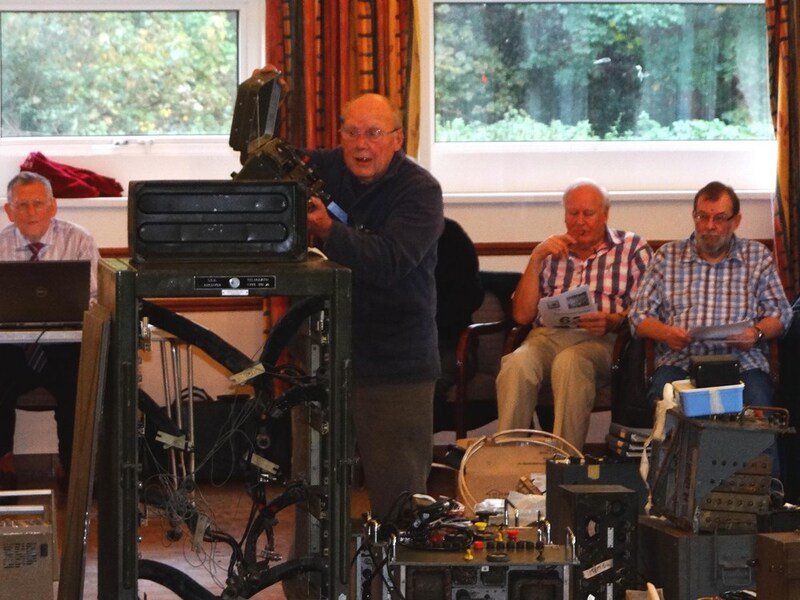 The next VMARS vintage & military equipment sale takes place on Saturday 21st July at Baginton Village Hall, Frances Road, Baginton, Coventry CV8 3AB from 10.00 a.m.–4.00 p.m. The event is not open to the public but members are welcome to bring guests. Members wishing to place auction bids should register for a bidding card on arrival at the venue . 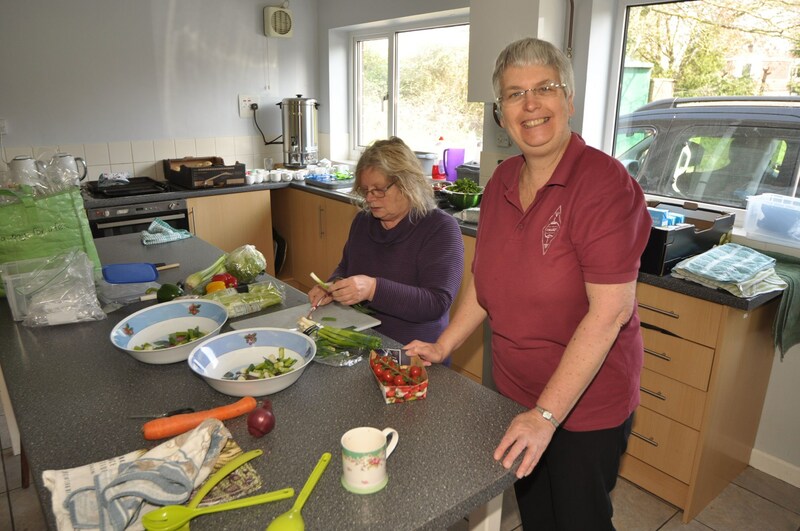 Lunch is provided free of charge and members are advised to pre-order with Anne, M3TBI. 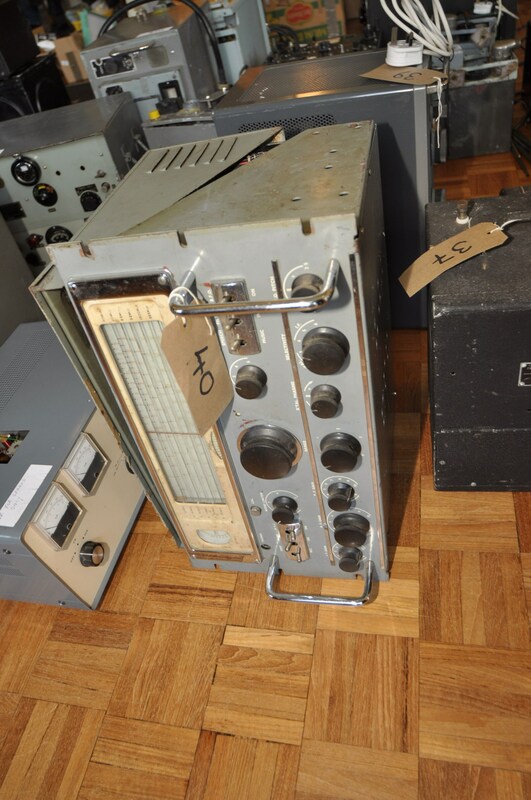 Items on sale include a Murphy B40 Admiralty receiver, Wireless Set No.18 accessories, Larkspur SRA41 manpack, BC611 walkie-talkie, RCA AR88 receiver, Edystone receivers and other equipment, along with a host of test equipment, spares, transformers, cables and accessories. For a full auction list and additional information please refer to the June news letter recently distributed to all members. 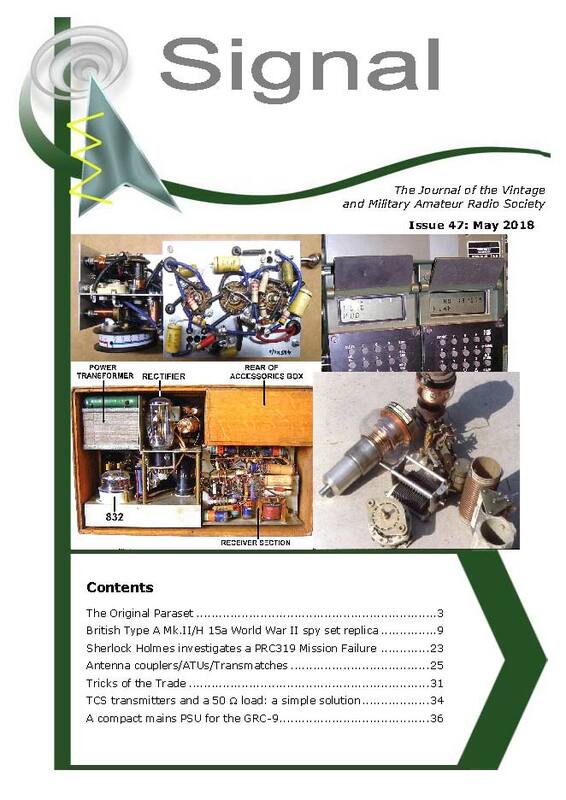 The May 2018 edition of SIGNAL is due out shortly. Here is a preview of the front page. The latest edition of SIGNAL is due out shortly. Here is a preview of the front page. 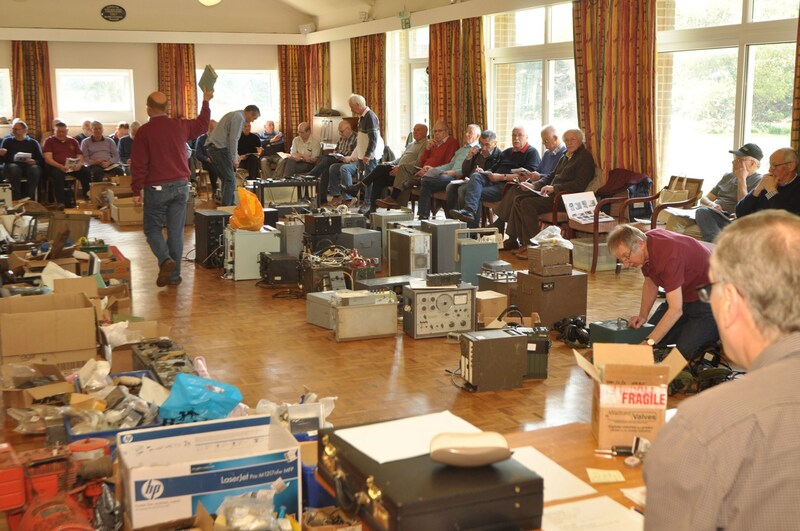 On Saturday 10th March VMARS organised a special net for classic equipment from the 1950's and 1960's. The net took place on the usual 3615Khz frequency used regularly by Society members and AM enthusiasts throughout the U.K. The net opened at 07:30 GMT with VMARS Chairman Tony Barron, G3YYH, at the helm as the net controller. Band conditions were very good and an interesting selection of classic equipment was heard on air. The net closed at 08:30 when the frequency was handed over to the VMARS net controller for the usual Saturday morning AM net. A recording of the classic equipment net can be heard by clicking here. 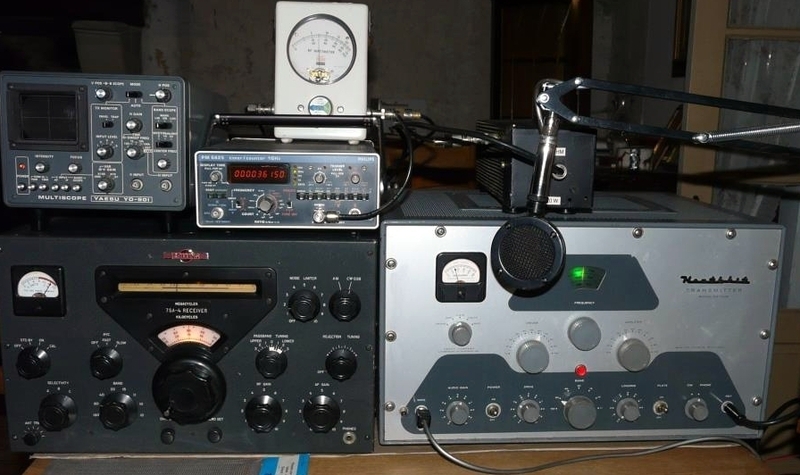 The following report of the classic net was submitted by F4VSC in central Brittany, who was running a Collins KWS-1 transmitter with an RA17 MkII receiver on the net. 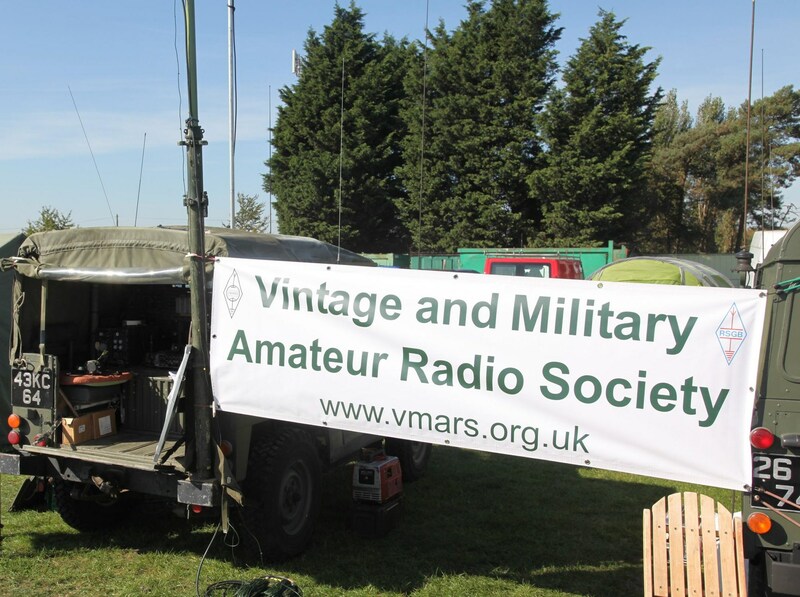 As well as the weekly Saturday AM nets, VMARS organises a series of occasional special nets throughout the year for various types of vintage and military equipment . Anyone who wishes to join VMARS organised nets with their own equipment, regardless of whether they are a VMARS member or not, is welcome to call in and give their transmitter an airing. For details of the regular nets organise by VMARS please select this link and scroll down to the bottom of the page. 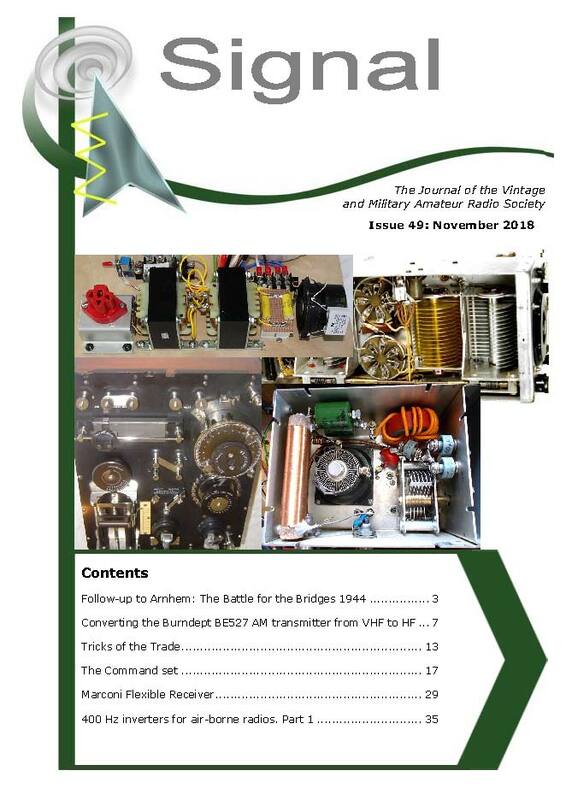 UK time, VMARS will be hosting a special one hour Amplitude Modulation net for historic airborne equipment on 3615Khz. The net will cover the one hour period just before the regular VMARS Saturday A.M. net takes place at 08:30. Anyone able to put a piece of airborne equipment on air, whether a VMARS member or not, is most welcome to join in. 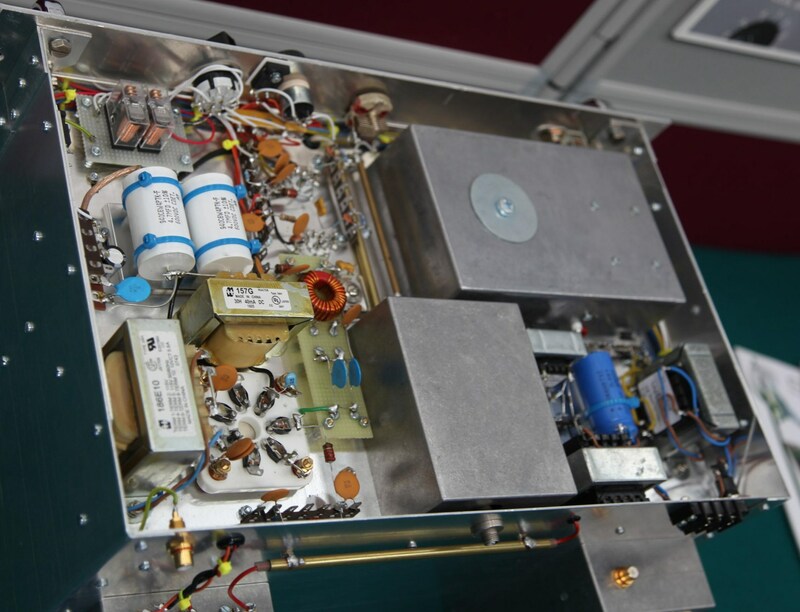 If you don't have a siutable airborne transmitter and only have a receiver such as an R1155, feel free to join in with any A.M. transmitter and tell us about your receiver. If you can only receive, just listen to the net and enjoy hearing these wonderful wireless sets in full cry, some dating back 75 years or more. 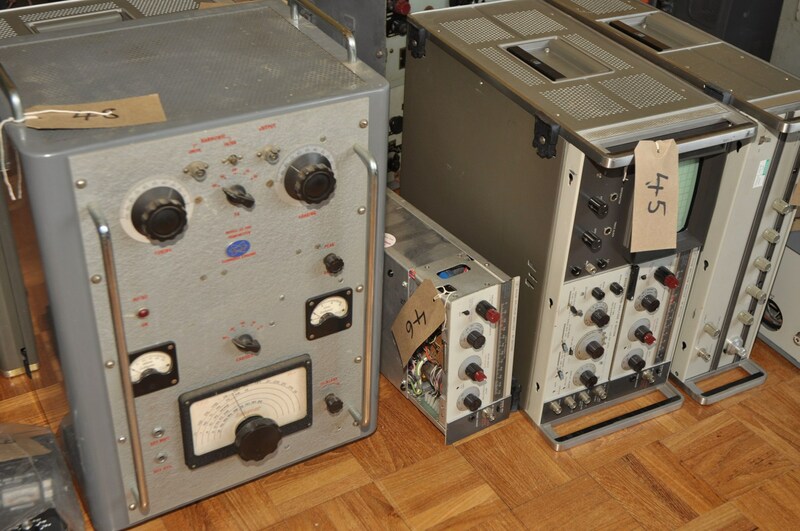 It is expected that several WW2 Marconi T1154/R1155's, Collins ART13's, Command sets, Bendix TA12's and others will be in evidence on the day. The Net Controller for this event is Paul Craven, M1PVC. These occasional special nets have proved to be quite popular in the past and in order to facilitate the maximum number of stations in the limited time available, participants are requested keep their transmission overs short and limited to descriptions of the equipment and other related information such as historical operational use. Please avoid lists of signal reports as these frequently tend to take up significant time. Please join in if you can and enjoy the net.